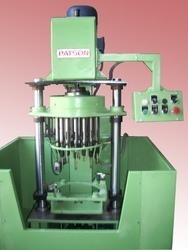 Manufacturer of a wide range of products which include Shuttle Type Spindle Tapping SPM. While tapping operation is carried out on 4 components at one shuttle end, the other shuttle and operator will load/unload components at other shuttle ends. Thus reducing cycle time effectively. 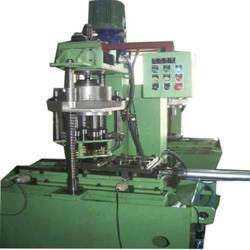 With our expertise in this domain, we are engaged in offering a wide array of Spindle Tapping Machine. Our products are manufactured at par with the international standards of quality. These products are highly reliable as these are manufactured with the use optimum quality raw material, which is procured from the most reliable vendors of the market. Looking for Multi Spindle Tapping SPM ?